In den letzten Tagen habe ich mich zum ersten Mal ans Tangeln gewagt. Ich liebe ja gedoodlete Stempelmotive und finde es immer ganz faszinierend, wenn andere ihr Gestempeltes mit Selbstgedoodletem individualisieren - wie etwa Kelly Latevola auf dieser Karte. Das sieht immer so locker und fröhlich aus. In the last few days I've ventured on my first tangles. I absolutely love doodle stamps and find it always fascinating to see how others give their cards a very individual character by doodling on their stamped motifs - as for example Kelly Latevola did on this card. It always makes such a loose and fun impression. Aber abgesehen von ein paar gedoodleten Rahmen ab und an habe ich mich bisher nie getraut, meine eigenen Stempelabdrücke zu bedoodlen. 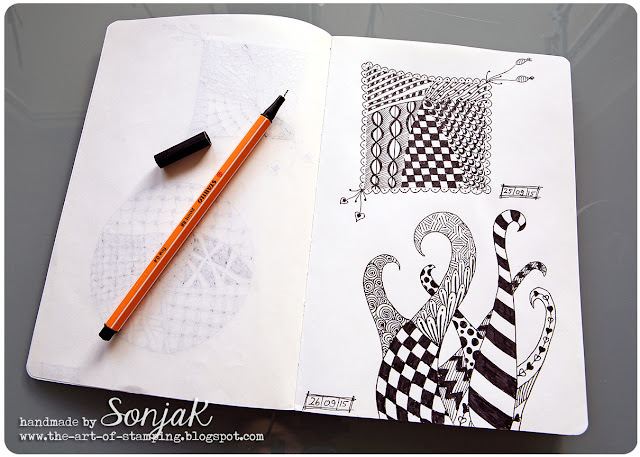 Damit das anders wird, habe ich mir jetzt ein eigenes Doodle-/Zentangle-Journal angelegt. Darin kann ich verschiedene Muster und Formen erst einmal ausprobieren, bevor ich meine Stempelmotive damit verunstalte. ;o) Außerdem sieht es ganz dekorativ aus, finde ich. However, apart from a few doodled frames then and again I've never yet dared to doodle on my own cards myself. To change this I've now set up my own doodle/zentangle journal. 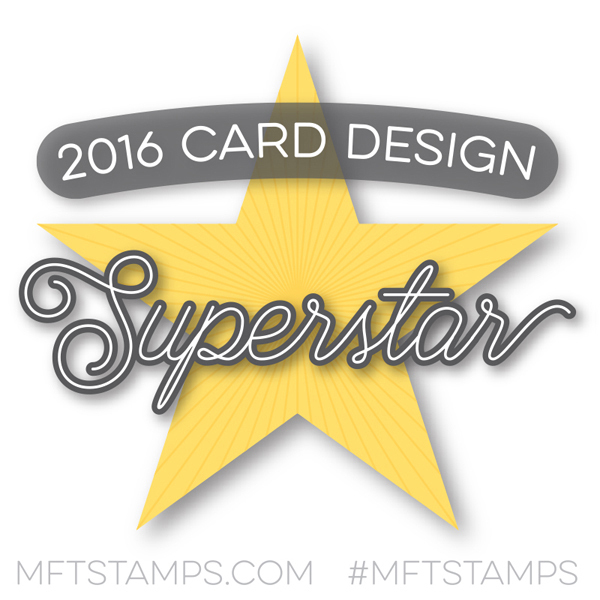 Here, I can test different shapes and patterns first before I blemish my stamped motifs. What's more is that it looks quite ornamental, doesn't it? Hier seht ihr meine bisherigen Lieblings-Tangles in Großaufnahme. And here's a close-up of my two favorite tangles so far. 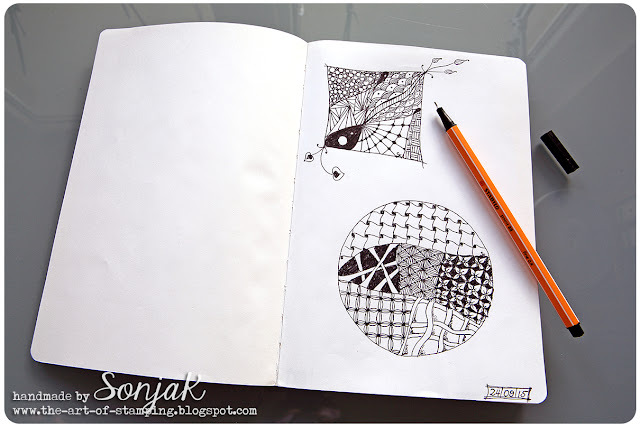 Ich teile diesen Post bei Julie Fei-Fan Balzers Art Journal Every Day. 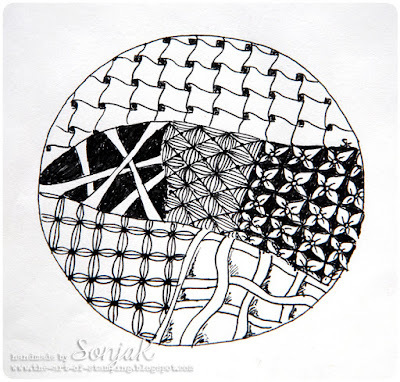 I'm submitting this post to Julie Fei-Fan Balzer's Art Journal Every Day. 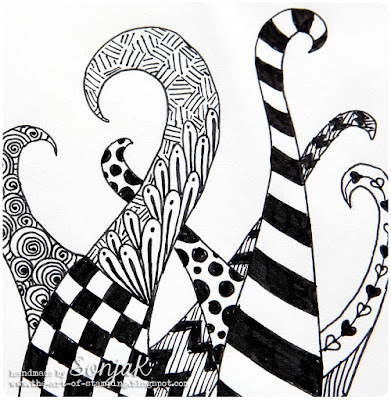 These are fabulous, I love doodling too very relaxing to do.